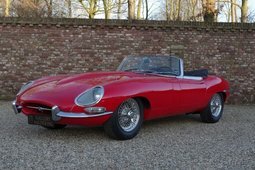 This Jaguar E-Type Series 1 convertible was a new delivered in 1962 in Germany. 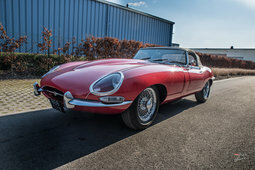 The E-Type has the original colour combination Carmen Red with beige leather interior. The interior has the aluminium dashboard and a wooden steering wheel. 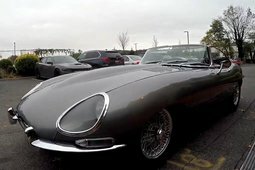 Chrome wire wheels decorate the exterior of the car. 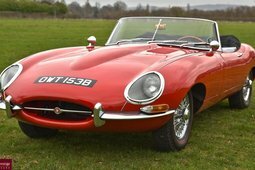 This Jaguar has a non-matching 3.8 ltr engine. The Heritage Certificate is present. Showroom open Monday till Saturday 09.00-17.00hrs. Every first Sunday of the month open from 12.00-16.00hrs. 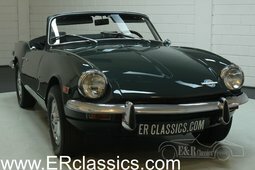 All the cars we advertise are in our showroom in the Netherlands.